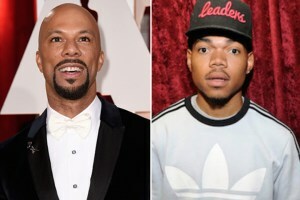 iGRIND4REAL: #CelebNews Common & Chance The Rapper Part Of Chicago Mural Art Project! 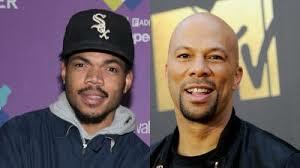 #CelebNews Common & Chance The Rapper Part Of Chicago Mural Art Project! Chicago‘s Hip-Hop history is a vast one, but many fans would concede and say few stars have shined as brightly as native sons Common and Chance The Rapper at various times in their careers. The two are now immortalized by way of a mural art project in the South Side section of the Windy City. Columbia College’s Chronicle publication covered the unveiling of the murals, which were created by Chicago artist and urban planner Chris Devins. Devins made Chance and Com Sense the subjects of his “Chatham 2.0” public arts project at the corner of 79th and Evans street. Commissioned to help reaffirm community identity, the project also features the “You Are Beautiful” campaign by Chicago designer Matthew Hoffman and a series of vibrant paintings of black women as superheroes by local artist Yorli Huff. Devins started his mural in April 2015 after First InSite Realty commissioned him to create art that would support a more positive outlook for the community. 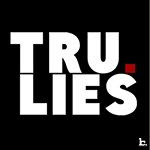 “I’m looking to counter the constant negative imagery put out by the corporate media,” Devins said. According to Devins’ Instagram, Common has seen the mural of himself up close and looks to be in approval in the snap. The veteran rapper splits time in other cities, but his undeniable city pride has remained constant. Chance currently wields the command of the young generation of city rappers, so it’s fitting that two men from varying generations were selected to represent the vibrancy of the South Side.